Do You Need to Resurface Your Pool? If you have an in-ground backyard swimming pool, it provides the perfect place for family, friends, and neighbors to gather together to have a good time. But while your pool will last a long time, its interior surface won’t last forever. Over time, the protective surface of the pool can become worn and thin. And if it’s not repaired or replaced, it can actually cut down on the usable life of your swimming pool. The finished surface on the walls of your in-ground pool provides a protective barrier between the water and the underlying structure. Over time, the chemicals in the water and normal wear and tear can erode this barrier, exposing the harsh underlying layer that lies beneath. When worn patches appear on the pool’s walls, it can present a potential danger to swimmers. Because it is rougher than the smooth pool surface, it can cause scrapes and scuffs in swimmer’s skin. If not repaired or replaced, eventually worn surface spaces can collect dust, dirt, and even algae, making your pool more difficult to keep clean and accelerating the normal wear and tear on your pool’s interior surfaces. Eventually, this can cause cracks or leaks to appear, damaging the pool to the point of costly replacement. 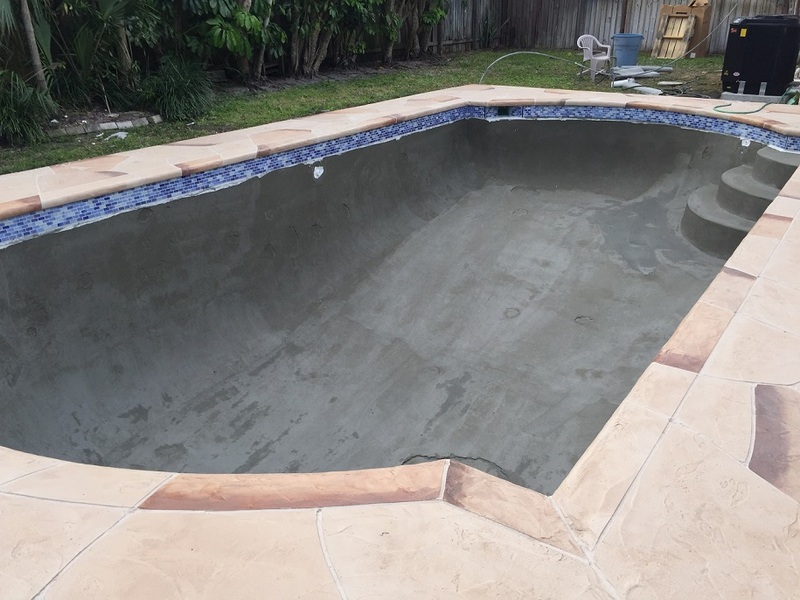 Many pool experts recommend that homeowners be proactive by resurfacing their cement or plaster pool every three to seven years, depending on how much use the pool gets, the type of surface you have, and environmental conditions. Fiberglass pools can last longer between resurfacings, sometimes as long as 15 to 20 years. Keep your pool safe and prolong its usable life by resurfacing your pool as needed. To learn more about pool resurfacing, contact the pool experts at Eagle Pools today!